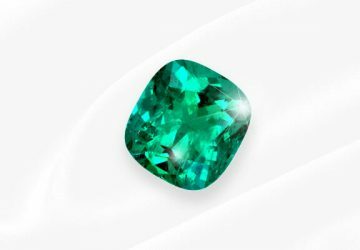 a “precious blue-green color-of-sea-water stone”. 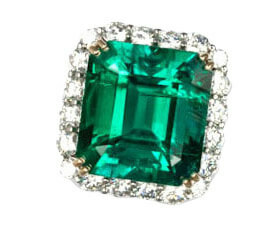 Emeralds crystallize in perfect Hexagons, (six sided crystals). 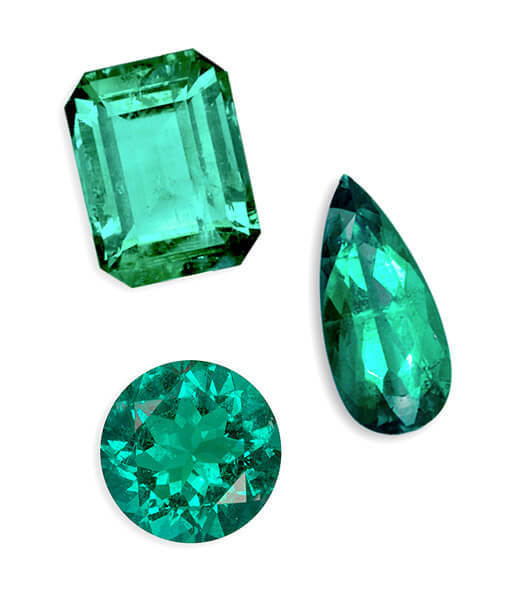 Trace elements of Chromium which give Colombian Emeralds their coveted and infinite hues of green. Mix all the elements, heat to over 1.000 degrees Celsius, Pour into a calcite vein, seal tightly and place under immense pressure. Let the mineral soup cool and crystallize into (six sided) Hexagonal emerald Crystals at the bottom of the ocean for 20 to 70 million years or until the Tectonic plates push them to the earth’s surface depositing them delicately on top of what now is known as the Andes mountain range. 100 kilometers from my 5th floor office. 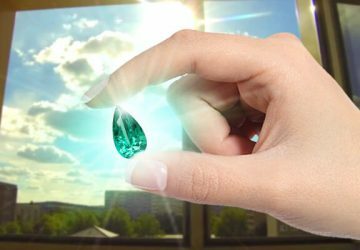 Proceed to dig the emeralds out carefully, (so as not to damage the crystals) Cut the crystals carefully according to each ones needs, (so as not to lose color) set Beautifully and Enjoy!!! 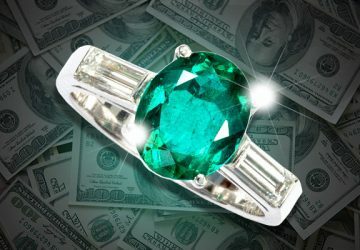 Colombian Emeralds are the Precious gemstones that should never have been… why? 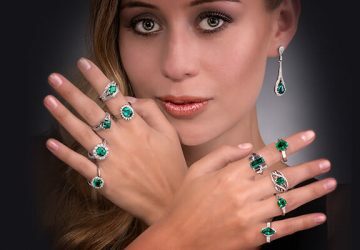 While Beryllium, Aluminum, Silicate (sand) and Oxygen which provide us with White Beryl are all found abundantly and close to the earth’s surface, the trace amounts of Chromium which gives Colombian Emeralds their Color is found 50 Kilometers below the earth’s crust. 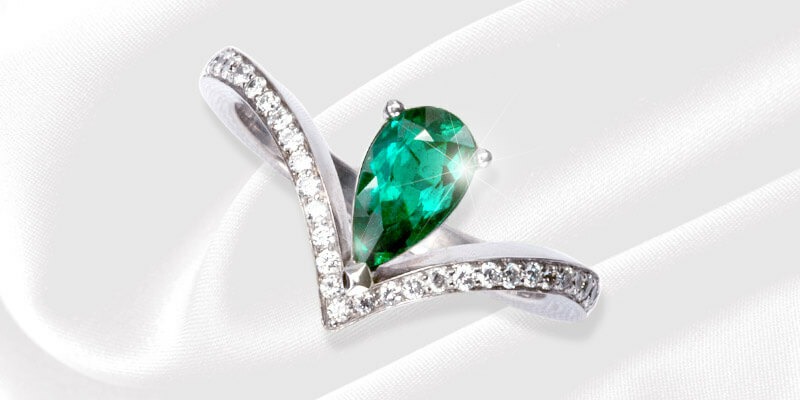 So, truthfully, the Colombian Emerald on your finger or around your neck is a Miracle of Nature! Each and every one, Unique! 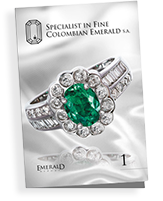 I hope this answers the question, What is a Colombian Emerald? 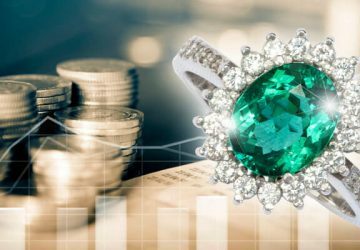 So, are Colombian Emeralds a Good Investment? Let’s see in the next Post. What is a Precious Gemstone?